You probably thought I forgot about you all yesterday! I did...kind of! Mom, dad, & AJ are off to Alaska. They arrived at 4:30 am this morning! So, I was super busy yesterday teaching and helping out at the shop. How are your Block of the Months going? Sue stopped in with her Where The Cows Come Home. It's so beautiful! For the next few Fridays, we are going to be introducing our employees to you! So this week let's get to know Ashlee aka "Longarmer". 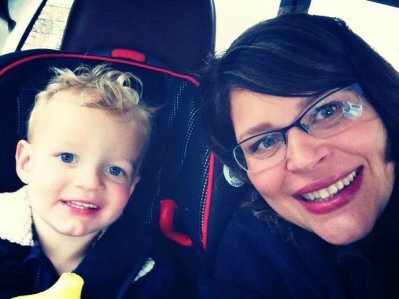 Ashlee is Kif's daughter and store manager. You can find her here just about any day of the week. She can't seem to stay away!! How long have you been quilting? About 13 years. 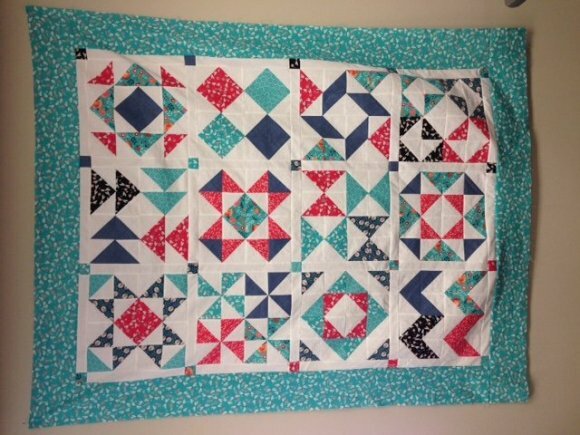 Favorite thing about quilting: Seeing a finished project. 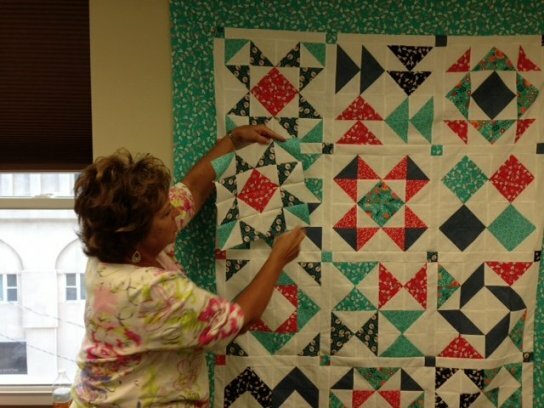 "I love to longarm quilts and create!" Least favorite thing about quilting: Like my mom...Binding! 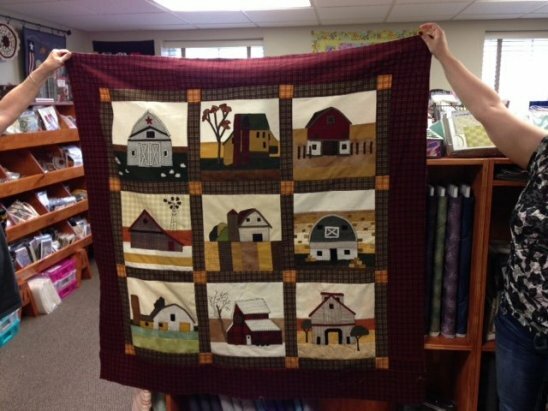 Favorite quilting quote: "Is it going to Paducah?" - Meaning it's ok to not be perfect...unless it's going to the National Quilt Show. 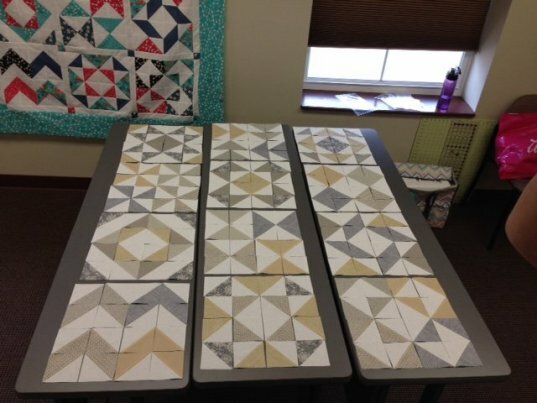 Favorite quilting project: My paper pieced project - Prairie Pinwheels. Today is the last day for our CrAz Sale - stop in and save 25 % off storewide! Some exclusions apply: BOM, Classes, & Paradise Line. Here are a couple pics from yesterdays class! Hope you have a great weekend and stay cool! Oops! Sorry it is sideways! !